My recent trip to Budapest was by far the most relaxing week of my exchange. For one, I discovered the joys of solo traveling, doing whatever I wanted at my own pace. Waking up at noon with no one to nag about opportunity costs, spending hours at the various thermal baths, dining without feeling guilty about any budget limitations of travel companions, soaking in the festive cheer at the Christmas markets, empowering the Hungarian economy at low-stake casinos and ending the night at the ruin bars with fellow hostel mates. I started feeling like a bum towards the end of the trip but suitably rejuvenated to start studying for the imminent exams. What’s great about Budapest is that it’s in Eastern Europe, meaning that food is relatively cheap and dining at the best restaurants in town is actually economically possible. Fun Fact #1: Hungary’s currency is the Forint and current conversion is about 300Ft per Euro. 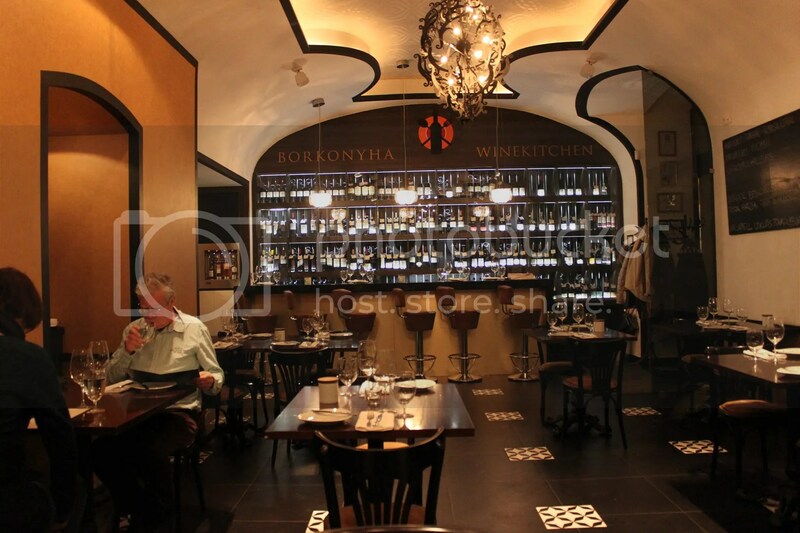 I patronized Borkonyha WineKitchen on my first night. Expectations ran high given that it held the top spot on TripAdvisor. It’s a fairly classy place and the staff was very professional without being overly smothering. 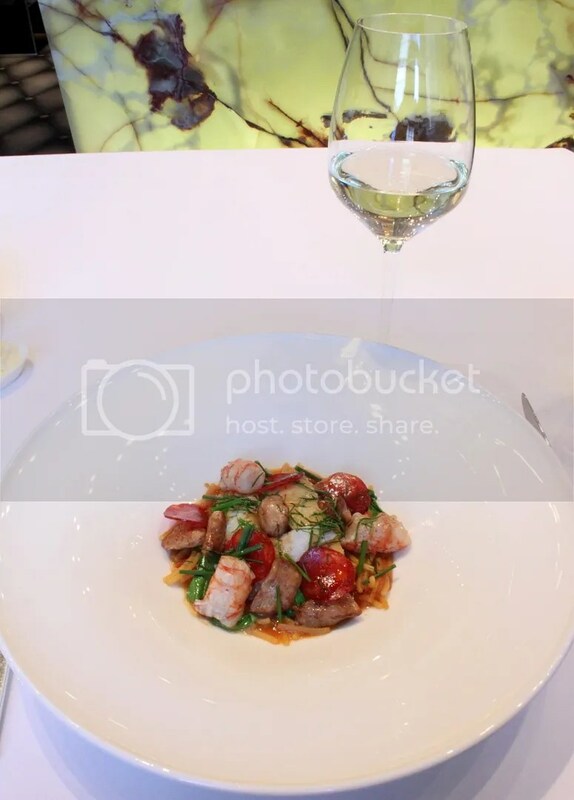 The cuisine is French-Hungarian Fusion, though I would say the French aspect stands out more, given that my perception of Hungarian cuisine is perhaps more rugged and hearty than the fine-dining portions you will find here. Cellar was well stocked with local wines. 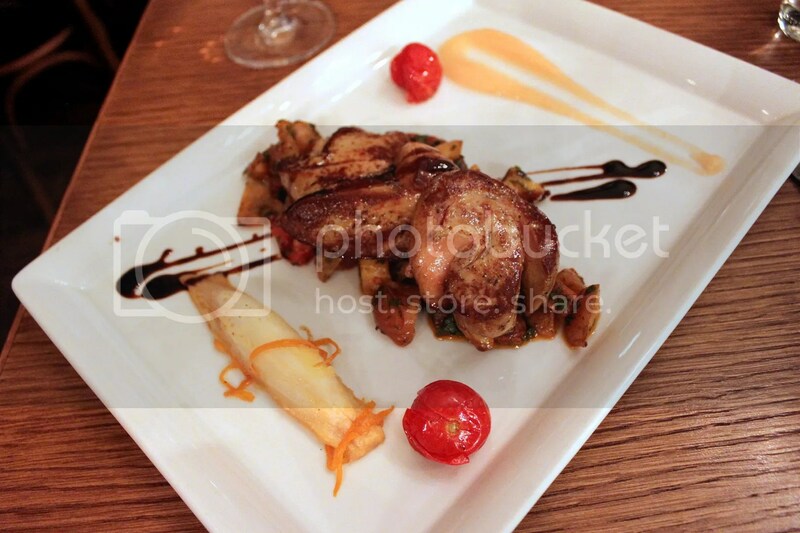 I was really enchanted by the Foie Gras served here, evenly cooked with a very crispy seared surface (way more crispy than any other pan-seared foie gras that I have tried). The classic apple sauce complemented the liver well too. For main, I had the Mangalica Variations, or deep fried Pork Tongue, Pork Loin and Black Pudding (aka Blood Pudding). Didn’t really take to the fried balls of Blood Pudding since it’s a little too salty but I did like the Loin for its moist tenderness and Pork Tongue, which had a texture that reminded me a little of Tripe. Kispiac Bisztro, as its name suggest, operates as a bistro, meaning that the setting is somewhat more casual than Borkonyha and can get slightly rowdy during meal times, especially since the restaurant is a small-scaled establishment. 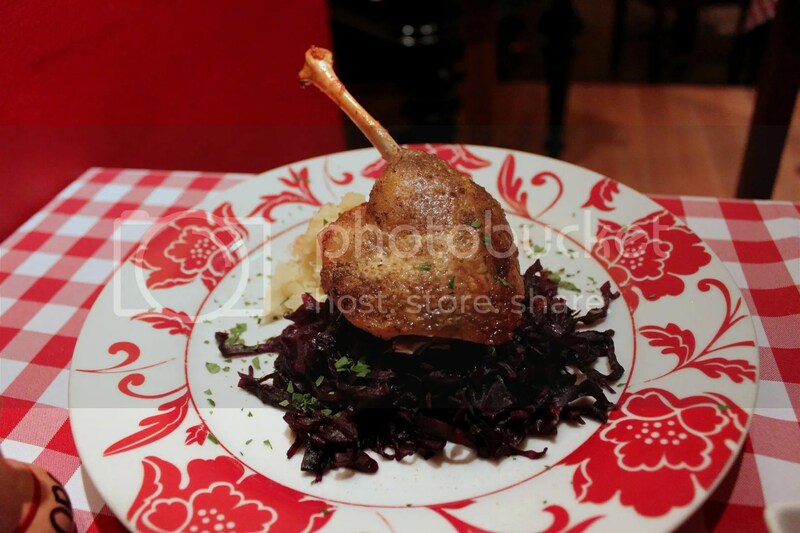 Hungarian cuisine does seem quite similar to French somehow, with items such as Braised Pork Cheeks, Crispy Roasted Pork, Roasted Duck and Foie Gras gracing the menu. 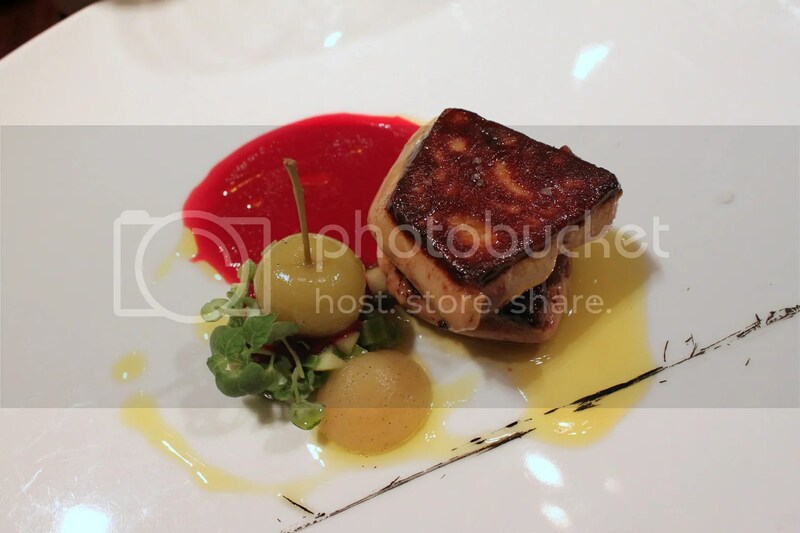 Never before have I seen Foie Gras as a main so I just had to have it. 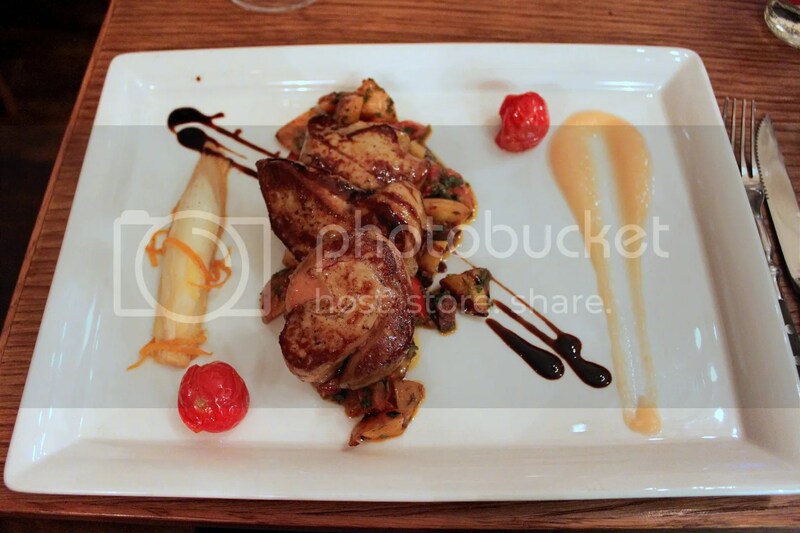 It was great when I had it (since it was only my 2nd dinner then) but the novelty of affordable Foie Gras wore off several meals (with much Foie Gras dishes) later, given the unctuousness. Another bistro worth visiting is Hungarikum Bisztro. To make our lives easier, they have a 3-course menu (3,600Ft) that includes Hungarian specialties such as Goulash Soup with Noodles, Crispy Duck Leg with Braised Cabbage and Onion Potatoes, and Cinnamon Flavored Apple Pie with Vanilla Sauce. I opted for the ala carte since I wanted some warm chicken broth for my recovering cold. For main, the Crispy Duck Leg was fantastic, with plus points for the skin and modest use of salt on the meat. 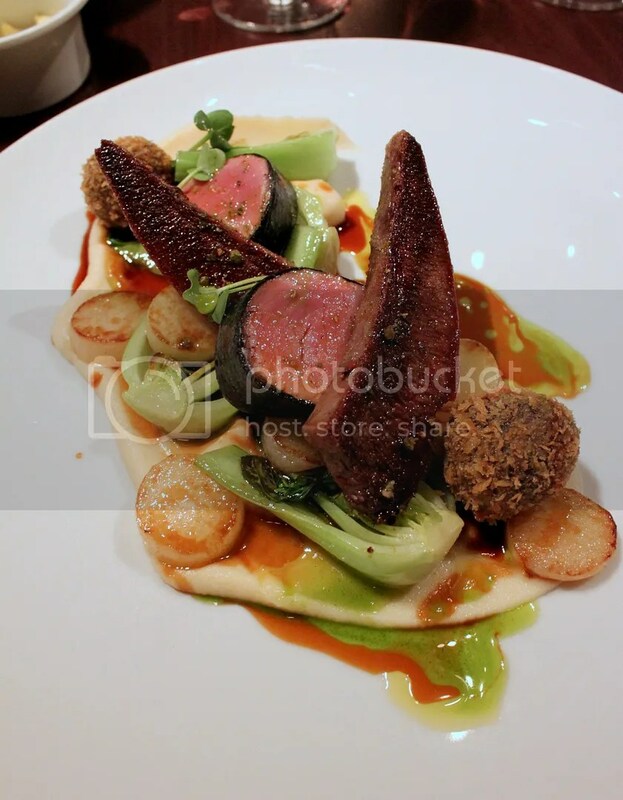 I personally find most duck confits a little on the salty side so this one worked well. 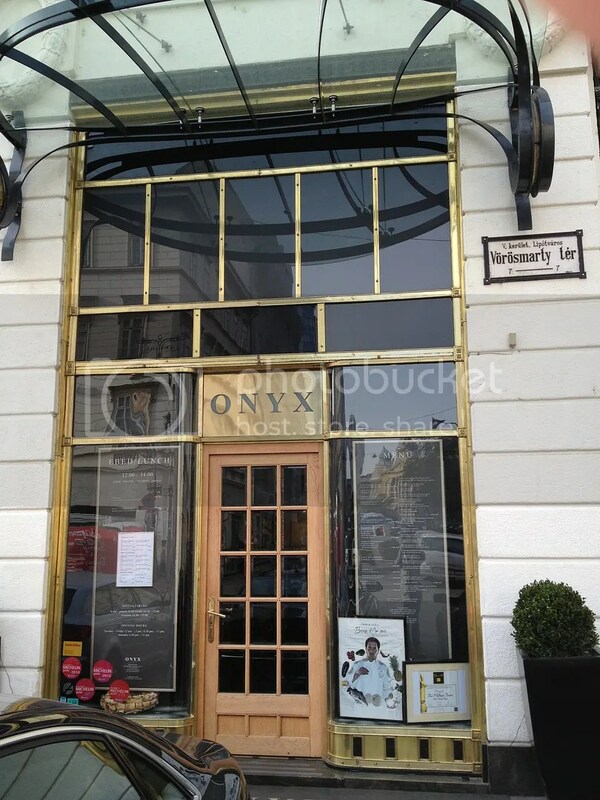 There are 2 Michelin-starred restaurants in Budapest, Onyx being one of them. Their 3-Course set lunch is pretty affordable at approx 5,990Ft (20 Euros) but a number of options on the menu require additional top-ups. In all, I spent about 40 Euros for lunch, including a glass of wine, still water, a 2,500Ft top-up for a Foie Gras starter and taxes. 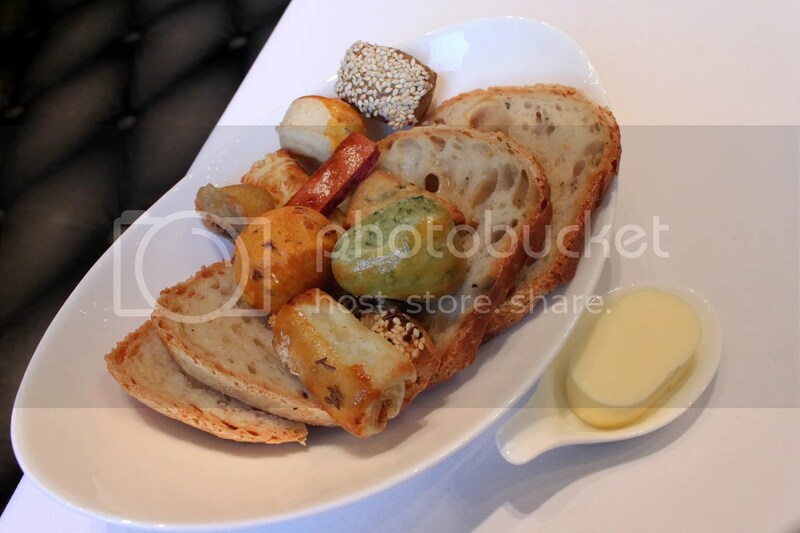 Lunch kicked off to a perfect start with the Bread Basket, which held about 11 or 12 assorted flavours of pastries and bread that was served freshly toasted. An unlikely buttery cabbage pastry totally blew my mind. Another great aspect about Onyx is that it doesn’t scrimp on its set lunch menu. 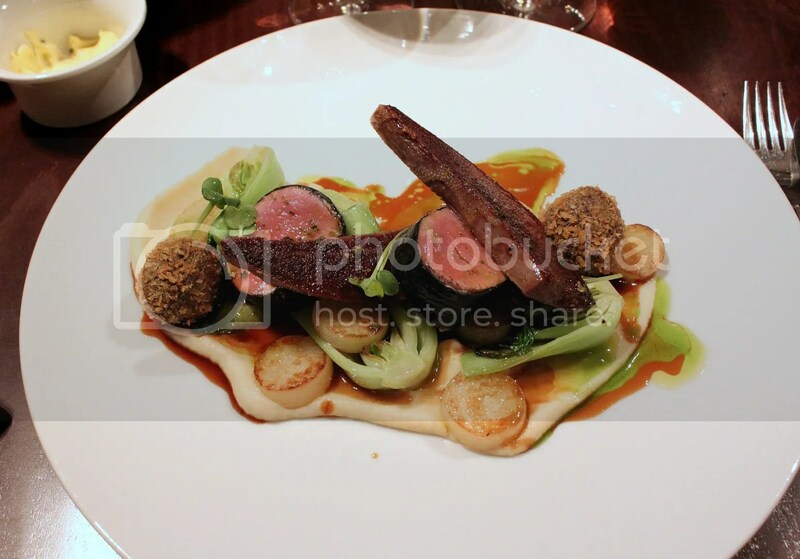 For example, the lunch menu starter which I had, the Goose Liver, Grape, Loaf is also found on the restaurant’s dinner ala carte menu (at 6,000Ft) and tasting menu. 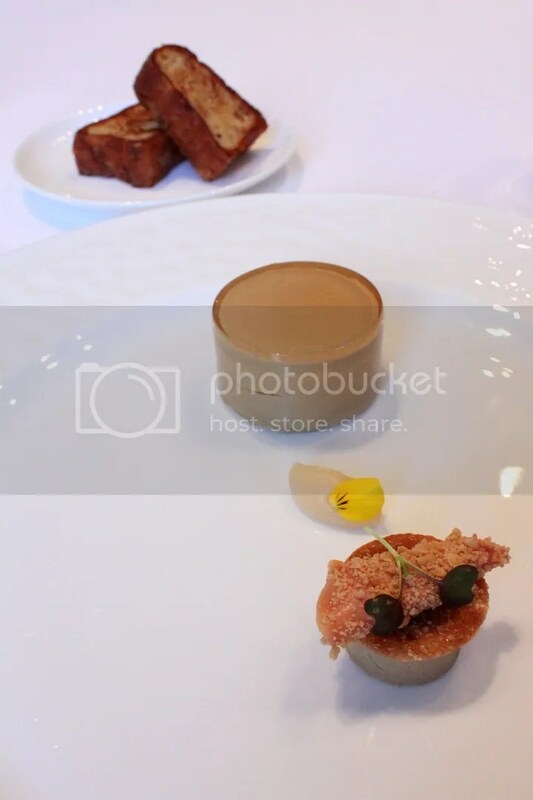 It’s something I would definitely recommend as a starter, where you get two variations of Foie Gras with contrasting flavours. 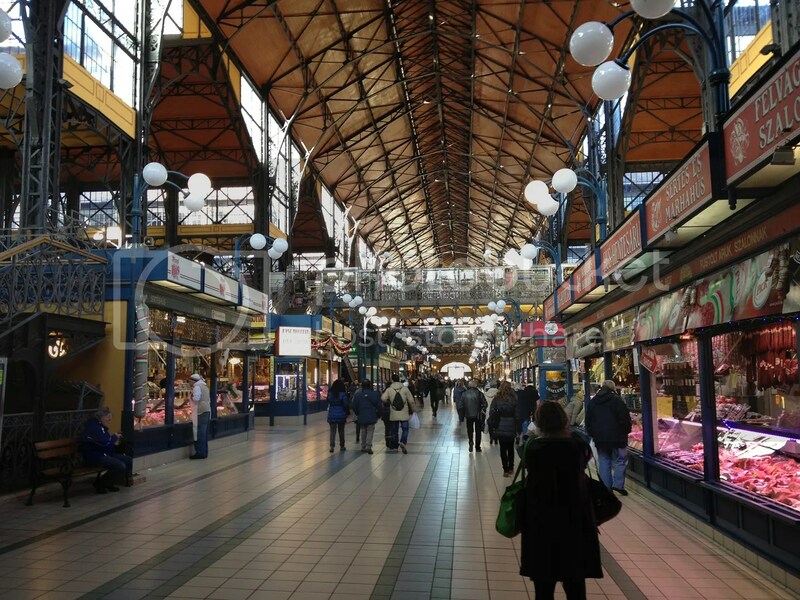 While resting in between meals, you might also want to consider checking out the Central Market Hall, especially if you want to stock up on canned foie gras or caviar produced locally. The market is pretty much like a really clean European version of Singapore’s wet markets and locals do come here for their weekly grocery shopping. Some local delicacies can also be found from the food stalls at the market’s 2nd storey. Fun fact #2: Hungary is the second largest producer of Foie Gras after France, which is really impressive given the size of the country. That probably explains why Foie Gras was so readily found in markets, restaurants and bistros around town, even the less high-end ones. Never thought I would say this, but I am officially stuffed with foie gras. Laying off it for at least a month or two. Went to pretty much the same places as you and really enjoyed Budapest. Kispiac served the best piece of pork I have ever tasted: ribs of young pork. Another place I would recommend is Bock Bisztro, fantastic ox cheek and an amazing and huge double burger.